Great food, great atmosphere, great service. 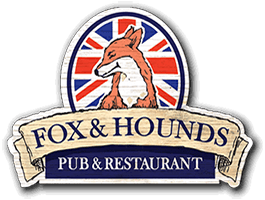 Located in Aldergrove at 32 Ave the Fox & Hounds is an English-style inspired neighborhood pub and family restaurant. It seats more than 200 guests and offers a great variety of delicious, made from scratch meals using traditional recipes and the best ingredients. We support a community of local producers and give you the freshest and most flavour-filled produce, cheeses and meats available. About two hundred years ago a young man opened a public house in merry Old England. His hobby was the classic sport of fox hunting and he chose the name Fox & Hounds Pub for his fine establishment. ~ truly a Neighbourhood Pub. As the town grew so did the little pub. Over time new additions were added, and each was slightly different in style and form, The result was an eclectic collection of rooms, each filled with artifacts and treasures from the Publican’s many adventures and travels as well as memorabilia from friends here and from the old country. The introduction of Neighbourhood pubs into this province is a concept originating from England, many years ago. Some of these pubs in England have been in existence for well over 300 years. In England, most apartments or flats are very small because of the condensed population. Space for living rooms is sacrificed for more essential space, such as bedrooms and kitchens. To overcome the lack of space to entertain guests, Neighbourhood pubs emerged and became “a common living room” for the neighborhood. When a tenant was bored with being confined to a small space, they could simply go to their Neighbourhood pub, and play darts or listen to some entertainment, while enjoying a drink, a good meal and some conversation with friends. We strive to be the “common living room” of Aldergrove.